There’s nothing like waiting to see a popular movie or one of your favorite movie classics on DVD only to have the worst viewing experience. The audio sound might be muffled or you may even see blurred images. Blu-ray players can help clear up what standard DVD players fail to do. When you want to watch a movie with crystal-clear imaging, a quality Blu-ray player can provide the high definition pictures you want. Listed below are four products that have been recommended from other buyers as the best Blu-ray players on the market. The Universal 3D Blu-ray Player is ranked to be the best player due to its extensive features. Darbee created this Blu-ray player to provide viewers with clearest images with its Visual Preference. This unique capability is able to create realistic images that are stunning and vivid in color. If you purchase this player, you can look forward to using several viewing and listening options which include: … “Blu-ray, DVD, SACD, DVD-Audio, CD, VCD, HDCD, AVCHD, MP4, AVI, and MKV support” (Amazon.com). These options streamline your entertainment processes. You won’t have to switch between these devices when one doesn’t yield the sound, picture, or output you need. In fact, this Blu-ray player has multiple inputs and outputs to help you connect the device of your choice. This Blu-ray player comes equipped with dual HDMI inputs and outputs, three USB inputs, DLNA (DMP & DMR, SMB/CIFS, Wireless N, RS232 & IR, 7.1-Channel Analog, and Coaxial/Optical functionality. This player is also compatible with MHL (Mobile High-Definition Link). As a result, you can use your smartphone or tablet like a mini theater. So if you want to make your movie or TV show viewing experience a personal one, just grab your phone or tablet, find a nice cozy place, and relax. If you’re an avid gamer, you can ramp up your game setting, and play until your heart is content. If you have trouble starting your current player, the Universal 3D Blu-ray player can start and load your discs quickly. The dual processor that is installed in this player includes Dolby True HD and DTS-HD Master Audio. These processors are able to produce a high quality level of sound while watching movies or TV shows as well as generating smooth sounds while playing music. The DTS-HD works exceptionally well with surround sound movie soundtracks. So if you want an optimal entertainment experience, this Blu-ray player will definitely produce the sound and imagery you’re looking for. If you’re wondering how this Blu-ray player is able to produce vivid images, the 4K Up-conversion is the component that plays an intricate role in this production. Your normal viewing options are probably set at a 1920 X 1080 resolution level. 4K Up-conversion will increase the number of pixels on your TV screen. This option will aid in your ability to see brighter pictures which can be useful if you have visual impairments or prefer higher quality imagery. The 2D-3D conversion also plays a vital role in how you perceive images. This feature is evident in many computer-animated films. The True 24p video feature is one of the main components that produces the speed in which picture frames are presented on the screen. In order for this feature to operate at an optimal level, it must be constructed in a device that can handle a speed rate of 24 frames. The Universal 3D Blu-ray player is equipped to support this feature and the aforementioned functions successfully. The vertical stretch mode provides adequate space for images to be displayed vertically across the screen in full view. You can adjust this feature by using the Advance Picture Controls. All of the functions make up the home theater you may be looking to create on your own terms. This 15.4 pound Blu-ray player measures at 14.6 X 8.7 X 4.3 inches. This multifunction device can be your logistics assistant when you want to entertain guests with a variety of films and music options. OPPO Digital has generated hundreds of satisfied customer reviews on Amazon. Although some customers have had issues with DVD copying, slow operation, and non-exclusivity, the majority of customers thought it was an excellent Blu-ray player. Some customers cited that the price is not exemplary to its function specifically noting that some lower priced Blu-ray players have the same features and function capability. An extensive review about this Blu-ray player can be found on www.hometheater.com. Andrew Robinson referred to the OPPO Universal players as those that are highly sought after for … “most home theater enthusiasts” (Robinson, 2012). This suggests that many customers have found this Blu-ray player to be one of their main sources for entertainment. However, the reviewer does have some varying thoughts about the competency of this model compared to the BDP-93 and BDP-95. Robinson did a comparative analysis to find out if the BDP-103 outperforms the previous models. According to Robinson (2012), the BDP-103 Blu-ray has … “a few new features conveniently located on its front panel, such as a front-mounted USB input and HDMI input”. Many of the dimensions are cited to be identical as the other models, but the distinct specificity is revealed by the number of input/output provisions. Upon further review, Robinson (2012) discovered additional benefits woven within the BDP-103D Universal Blu-ray player’s internal structure. The video processor component was cited to be optimal in correct audio and streaming errors. Robinson (2012) finished his analysis by testing the operation of the Blu-ray when he watched a movie. Robinson’s viewing experience was noteworthy, and he recommended this Blu-ray player as a must-have product. This Blu-ray player is another good choice when you want several options in viewing, copying, and listening to various media formats. This black Blu-ray player weighs 2.4 pounds and only requires 2 AAA batteries. This compact device offers hundreds of streaming options. You’ll have access to many popular entertainment apps such as Netflix, HuluPlus, Amazon Prime, YouTube, and many others. Your online surfing ability will be enhanced because this Blu-ray player has WiFi technology that is prebuilt in the player to connect you to the Internet at a high level of speed. The gaming feature on this Blu-ray device is one of notable status. You can play PS3 games through the streaming service without having to connect to a game console. All you need to do is plug in your Dualshock 4 controller and take charge of your gaming territory. The PlayStation Now option gives you access to hundreds of PS3 games. This eliminates excessive cords and gaming equipment which may crowd your entertainment or living space. Sony is definitely not conservative when it comes to preloading its Streaming Blu-Ray Disc Player with WiFi. If you purchase this Blu-ray player, you’ll have the opportunity to select a screensaver that you can also save to an Android device. This capability is made possible through the Miracast technology function that is embedded in this device. This feature allows you to personalize your viewing experiences whether it’s on your TV, smartphone, or tablet. The process of creating high-definition viewing is just a click away. The BDP-S3700 model makes the images that show on your screen appear realistic. You will not have a hard time starting this device up because the Quick Start and Fast Loading feature processes commands faster than other Blu-ray player brands. If 30 seconds is your limitation for waiting for your disc to play, this is the Blu-ray player for you. If you love the idea of having access to these features, but you’re not technically savvy, this Blu-ray player is user-friendly. There’s no extensive steps to go through to get to the apps. You can arrange the apps so that you can access the ones that you use frequently. One way you can accomplish this goal and more is by using the SideView app. When you want to communicate via social media about the content you’re viewing or access devices that are connected to your home network, this feature is the option to use. If you have videos or photos stored on a USB, you can plug it into this Blu-ray and view your images immediately after opening your files. Mixed reviews can be found on Amazon.com about this Blu-ray player’s performance. 48% of Amazon customers gave this player a 5-star rating. The features that were cited as exceptional included picture clarity, disc play operation, memory function, size, and quick start up time. The cost effective aspect was also mentioned to be worthwhile. The ability to setup the Blu-ray player was noted to be a simple process specifically regarding the coaxial cable and HDMI input. The online streaming process was also another feature that was a motivating factor for one customer to select this model as the best option. 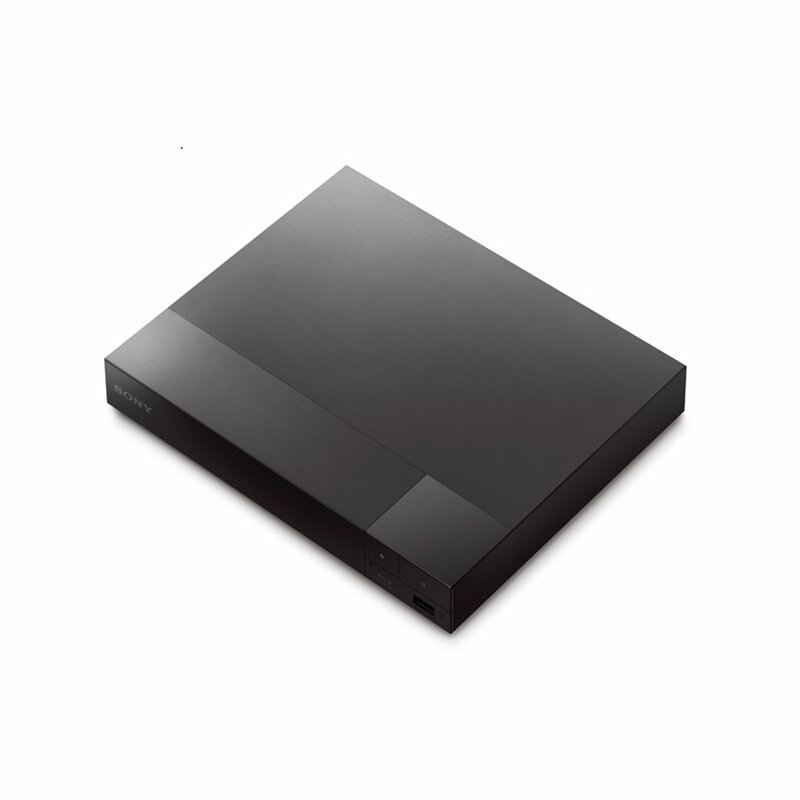 SmartHDTV Reviews is another site that has an in-depth synopsis regarding the Sony BDPS3700 Blu-ray Disc Player. This review noted the level of necessity regarding the ownership of a Blu-ray player. This is due to the processes that provide a buffet-style function platform. The sound quality was also highlighted as a good outcome when enjoying the audio processors … “Dolby TrueHD and dots-Master Audio”(smarthdtv.com). 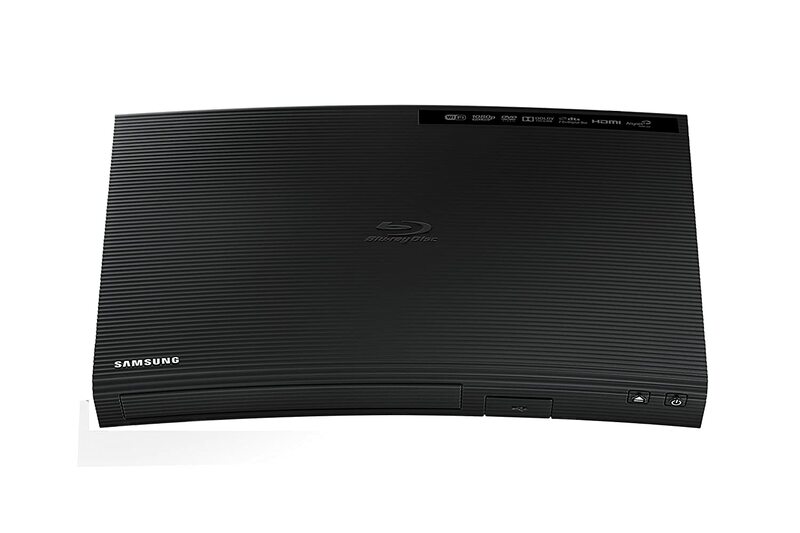 Samsung also offers a high quality Blu-ray disc player that generates HD imagery at an satisfactory level. This model is able to stream movies and music with high-resolution audio. Whenever you connect to WiFi, you can access the content that is available through YouTube, Netflix, Hulu, and other apps offered through the Content Partners + Opera TV apps Store. Some of the high-tech features provided in this device include a front panel USB port, 1920 X 1080 pixels, and the Anynet+. These functions are key elements in reducing disruptive viewing. This Blu-ray player weighs 1 pound and measures at 10.6 X 7.6 X 1.6 inches making it easy for you to carry without excessive weight. If you’re an avid social media correspondent, you’ll enjoy being able to access your Facebook and Twitter pages with this Blu-ray player. You can keep your friends informed about your movie or music selections which can lead to discussions about entertainment genres and theatrical themes. This will definitely keep your social communication interesting. The Pandora feature will also help you stay abreast of new music releases. If you have DVDs you would like to Up-convert, this Blu-ray player offers the ability to continue viewing your discs without compromising the content. Unfortunately, this model has not generated a significant amount of reviews yet on Amazon or some other sites which are dedicated to providing customers a platform to give their opinion about electronic devices. There are descriptive details about this Blu-ray player on TVWarehouseDirect.com. The site indicates that this product has been given a rating of 4 out of 5 stars among 1,333 reviews. However, the reviews are not available on the website. So this rating cannot be verified at this time. The lack of reviews is probably due to insufficient product advertising or customers who have bought older Blu-ray player models may still be enjoying their existing Blu-ray players. It’s difficult to determine at this point since it’s still early in the year. If you want to search for a review on this product later this year, you should check Amazon again. CNET provides in-depth reviews on several Samsung’s Blu-ray players. When this Blu-ray gains some notoriety, CNET will more than likely provide a thorough analysis so that you can decide if this product offers what Samsung claims it does. You can also visit Samsung.com for additional product information if you can’t what you’re looking for on other sites. This Blu-ray player offers a good function package. Although there are not any reviews online yet, it does not mean that this Blu-ray player has not been sold. If reviews do not necessarily influence your purchasing decision, you can be a first reviewer on some of the aforementioned review sites. By doing so, your review can be influential in helping other customers decide if the Samsung Smart Blu-ray Disc Player is a good option. You never know, other customers may just be waiting for your opinion to be posted. Since a lot of people are interested in accessing technology quickly, this Blu-ray player could meet the demand. This multifunction player is very affordable and can be enjoyed by your entire family. So if purchasing an expensive Blu-ray player is not an option, this model falls within a price range that will not exceed most customers’ shopping budget. If you’ve purchased Samsung products in the past, then you probably have identified the features that you enjoy. This Blu-ray player can take your viewing and listening to another level by providing more opportunities for you to enjoy your favorite features and other apps you may not have tested. This model is one of the best and affordable Blu-ray players on the market. Although this is an older model, you can still utilize many of the same features as the newer models. These features include input/outputs (i.e, HDMI, USB, Ethernet, HDMI-CEC), smart functionality, surround sound, and AV Decoding format. When you want to watch movies, you can connect to YouTube, Netflix, Yupp TV, Pandora, or Amazon by just clicking your targeted app. The 2-Channel Dolby True HD feature will give you the crisp and clear sound you expect while listening to a movie soundtrack or one of your favorite songs. The DTS Surround also contributes to the multichannel capability of the audio function. This 2.4 pound device measures at 11.4 X 8.7 X 1.6 inches and is a great product to have when you want to hear sound at the best level possible. Crutchfield.com has 23 reviews regarding this Blu-ray player. The majority of reviews on this site gave this player a 4-star rating. The overall performance was given positive feedback, however two customers noted that the power button was very visible and there isn’t a light to indicate its position. This can pose problems for users who have vision problems. Despite this negative aspect, the reviewer recommended this Blu-ray player as a good purchase. One customer experienced difficulty using the WiFi feature and it’s not clear if the customer figured out how to use this feature later or perhaps, a network connectivity issue was the primary factor. Additional reviews can be found bhphotovideo.com. Eight customers purchased this Blu-ray player and the majority of reviews are positive. One customer had some challenges playing AVI files and noted that Blu-ray players he purchased previously had the same problem. This customer also mentioned that there was no power light. Abt.com has more than 100 reviews regarding this Blu-ray player. One customer also had difficulty using WiFi on this player, but after further analysis discovered that a procedure was missed in the setup process. Operational success was achieved after the reviewer implemented the correct DNS Server code. Again, many reviewers on this site mentioned the absence of a power light. So this apparently is not a single customer dilemma as the component is very important to users’ experience. Seven customers felt that the quality of this product was poor while the performance level did not meet the expectations of ten customers. The majority of reviewers who thought this Blu-ray player was a good purchase indicated that the price, weight, color, display, and durability were primary features that contributed to their level of satisfaction. If you want to read more reviews, you can visit bestbuy.com where this Blu-ray player has generated over 2,500 reviews. The 4.3 rating comes from 90% of customers who thought that this Blu-ray player was price worthy and yielded an excellent performance level. A negative review also mentioned the lack of lighting for the power button. So this is a problem that Samsung needs to correct to avoid further negative reviews. Multifunctional entertainment devices can be more cost effective than buying separate devices. When Blu-ray players offer a variety of options, you don’t have to constantly switch from CD player, DVD player, gaming station, PC, and other device to access the movie or music you want to use. If this is your first time purchasing a Blu-ray player, you might be apprehensive about the functions, but once you become familiar with its operating system, you’ll discover that this option is better than trying to operate numerous devices simultaneously. The audio/visual components embedded in a Blu-ray player will determine the quality level of images and sound. If you opt for a brand that is cheaper, but lacks quality, you will have difficulty in enjoying a movie or music. When purchasing a Blu-ray player, it is very important to review the various visual and audio features to ensure that you will be able to obtain the type of output you expect. Otherwise, you will feel like you’ve wasted your money. The input/output features are very important options that allow you to connect devices without compromising the operation of a Blu-ray player. When you need to connect your HDTV, gaming device, or USB, you need to have access to specific input/output components in order for the signals to work efficiently. Now you don’t have to continue settling for slow output, distorted images, or muffled sounds. A Blu-ray player can give you the kind of home theater experience that is not available with a DVD or CD player. App navigation is another function that is important in allowing you to access your favorite social media and streaming service. When you have easy access to apps, you reduce time that you would normally spend pulling up webpages. Blu-ray players are optimized to help you navigate your favorite apps quickly, and you can maintain control of your entertainment process. Once you arrange your apps in your desired order, you’ll feel like an expert. User-friendly navigation is a feature that contributes to a highly rated product. Blu-ray players offer convenience to alternative sources of entertainment. These devices produce high quality high-definition images, clear audio, and simplified functionality. When you purchase a Blu-ray player, you will be able to optimize your user experience according to your specifications. The Blu-ray players listed here can offer you long term entertainment and financial benefits when managed according to the manufacturers’ instructions. If you’re not sure if a Blu-ray player is right for you, analyze some of the aspects of your current entertainment device and compare them to the features available in these products. Ask some of your family members or friends if they have a Blu-ray player or have knowledge in this area. After reviewing your preferences and weighing the suggestions from others along with online reviews, your purchasing decision will likely be an easy one. The ability to switch from one media outlet to another without challenges gets better every year. Blu-ray players can reduce expenses which could add up quickly if you were to go to your local movie theatre several times during the year. Whatever option you select, your initial investment will supersede entertainment expenses that continue to increase on a regular basis. Shopping for the right Blu-ray player can be a challenge, but shopping online can make it easy. You can learn a lot about a product, and if you’re not ready to make an instant purchase, you can buy it later without leaving your home.